It's helicopter parenting on steroids. Sarah is a reasonably happy four-year-old. She’s blond and gap-toothed with a cherubic smile. She can be a picky eater and is frightened by the neighbor’s dog that barks loudly as her mother takes her to the park. But she’s curious and trusting. Then, every parent’s nightmare. Sarah wanders off from the playground, and her mother is gripped with panic. 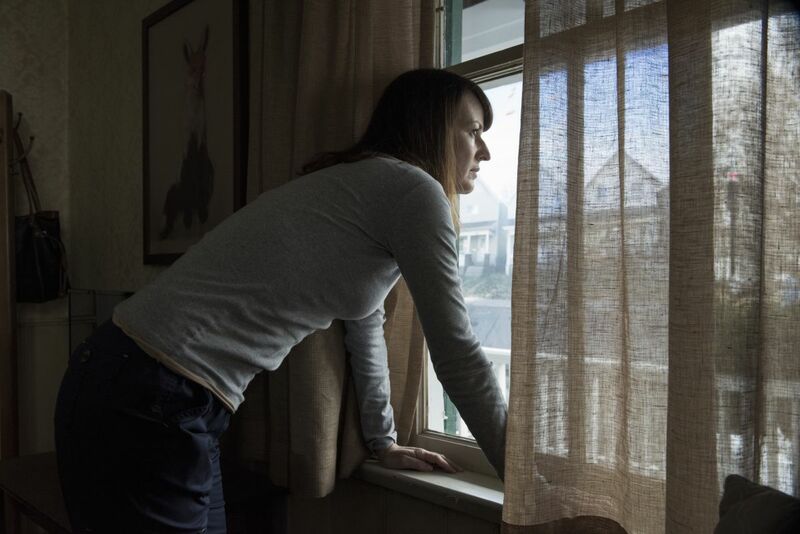 The neighbors find her a few hours later, but Sarah’s mother is shaken. She brings Sarah to Arkangel, a company that creates neural implants to set Sarah’s mom’s mind at ease. A technician places the implant into Sarah’s temple quickly and painlessly. With this device, the mother can monitor her daughter’s location, track her vitals, and even see through her daughter’s eyes. Sarah’s mom tracks it all with the system’s “parental hub,” a tablet device that’s remarkably similar those we use today. She can limit what Sarah sees. Anything that causes stress — a growling dog, a violent movie scene — the device can “filter” from the child’s view. Would you want the ability to always know your child’s location and what they were seeing? This is the question explored in this episode of Black Mirror. And because it’s Black Mirror, it’s safe to assume that not everything goes according to plan. So, how far are we from being able to take helicopter parenting to this new, high-tech level? According to L. Syd M. Johnson, a neuroethicist/bioethicist at Michigan Technological University, we’re not far from digitally-enhanced parenting at all. As Johnson told Futurism, we already have the technology for the basis for such a system. Today’s smartphones track our whereabouts and can make them visible to others if we so choose; tech such as Google Glass lets others see what we are seeing. The bionic eyes and retinal implants currently in development could take the system to the next level. 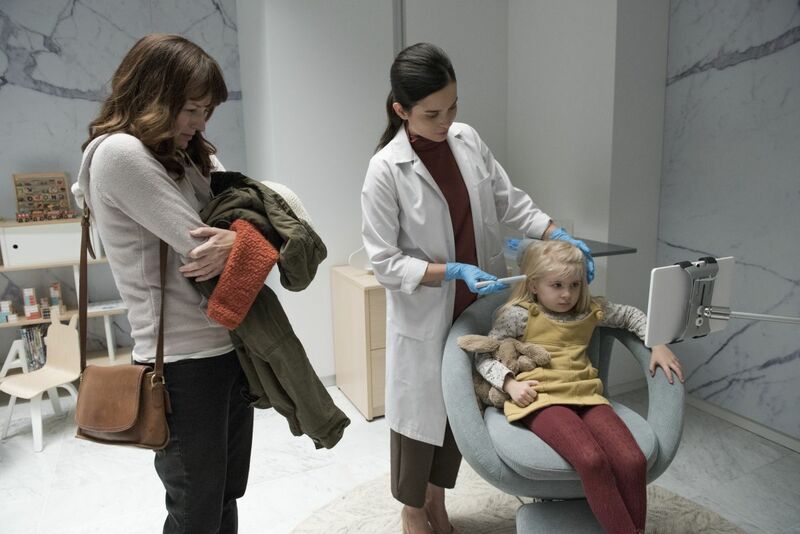 Once perfected, the data and images from those implants could plausibly be transmitted to another device, such as the parental hub used in the Black Mirror episode. Researchers are already working to develop brain implants that detect stress, and future iterations could integrate features that block whatever sounds and sights might be causing the stress. Manufacturers behind the most cutting-edge implants in use today, such as pacemakers and electrode systems for deep brain stimulation, are wirelessly integrating those devices with user-friendly portals that patients can access via an app on a smartphone or tablet, Johnson noted. In some cases, patients can even control the functionality of their devices through those apps. The same sort of mobile control for an Arkangel-like system wouldn’t be much different. So, an implant like Arkangel’s is plausible, possibly even in the next few decades. The question then becomes not could parents give their children the implant, but should they? First, the case in favor of the implant. Perhaps most obviously, it could reduce the number of cases of missing children — as of December 2016, there were 33,706 active reports of missing persons under the age of 18 in the FBI’s National Crime Information Center (NCIC) database (almost all children reported missing in the U.S. make it home alive). And it could decrease the number of cases filed as the result of simple miscommunications or misunderstandings, of which tens of thousands are filed each year, according to the U.S. Department of Justice’s Office of Juvenile Justice and Delinquency Prevention. That would free up investigators to look into the real cases, and it would save parents and children alike undue emotional trauma. An implant like this one could also help keep children healthy. In the Black Mirror episode, an alert on the parental hub let the mother know her picky daughter wasn’t getting enough iron. Such a system could also tell a parent immediately if a child was falling ill or needed more serious medical attention, or notify authorities if a child is being neglected. But the problems an Arkangel-type implant causes may outweigh its benefits. The simplicity of the Arkangel system invites abuse and excessive control, Johnson said. Instead of tracking kids’ locations only when they’re missing, parents could use it to keep track of their children at all times. This constant surveillance could stunt those children, preventing them from developing into self-sufficient adults capable of navigating the world without a parent’s interjection. “While parents are expected to protect and help shape and guide their children as they grow up, everyone at some point wants and needs their parents to loosen the reins,” Johnson said. Over-involved parents aren’t the only ones who could be listening in to an Arkangel-type implant — governments could eventually take advantage of the devices to maintain control over citizens. That is extremely problematic, as many dictators around the world already keep a tight leash on their populations. Hackers, too, could gain access to the devices, granting them control over a person’s emotions or actions, Johnson said. Today, the digital security of implantable medical devices leaves much to be desired — just this year, the U.S. Food and Drug Administration recalled half a million pacemakers because they were vulnerable to hacking. Other implantable medical devices, such as insulin pumps, have also demonstrated such vulnerabilities. Manipulating a person via their brain implant would be difficult and crude at first, but it would likely become more sophisticated over time. Another person taking control over your feeling or actions, no matter how imprecise, would feel distressing, to say the least. Americans are already worried about their cybersecurity, and rightly so. Internet browsers track our viewing habits and smartphones track our location. Hacking systems small and large is easier than ever. As we become more connected to the Internet of Things (IoT), we know intuitively that our privacy will continue to erode. But so far, most people seem comfortable with the trade off of privacy for convenience. If (or when) parents do have the option to implant their children with an Arkangel-type device, they’ll need to weigh these pros and cons very carefully. The peace of mind that comes with always knowing your child’s location could come at a cost far beyond the monthly subscription fee.